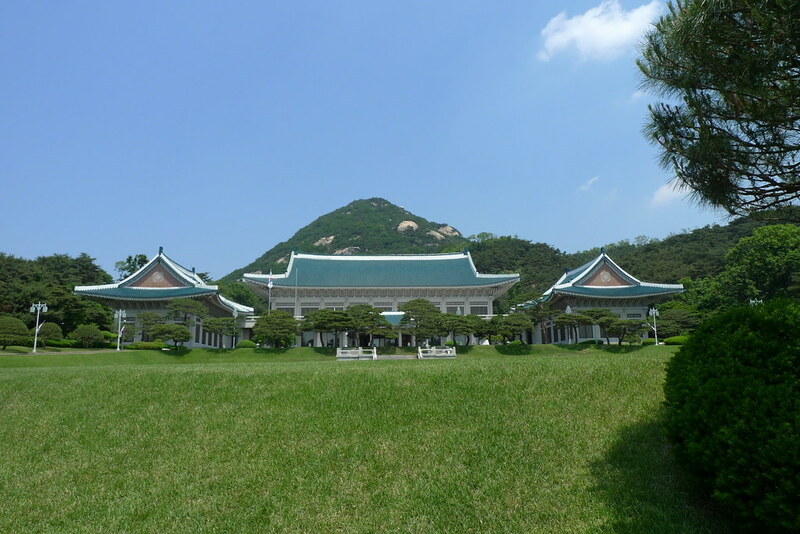 Last Friday I took a tour of the Blue House: Korea’s executive mansion and offices. I cannot overemphasize how ornate and elaborate the changing of the guard ceremony was. It involved a marching band, two parades of guards, a prerecorded speech (with translations following each line into Japanese, English, and Chinese), and much pomp and circumstance. This picture shows just one of the parades of guards, minutes before they marched up to relieve the parade comprised of the previous shift. It was a nice show, but I can’t help but assume that the majority of the guards change shift in a much more relaxed manner, and that this was just an additional duty that some of them picked up somehow. This particular war memorial was much more inspirational than most I’ve seen in Korea. 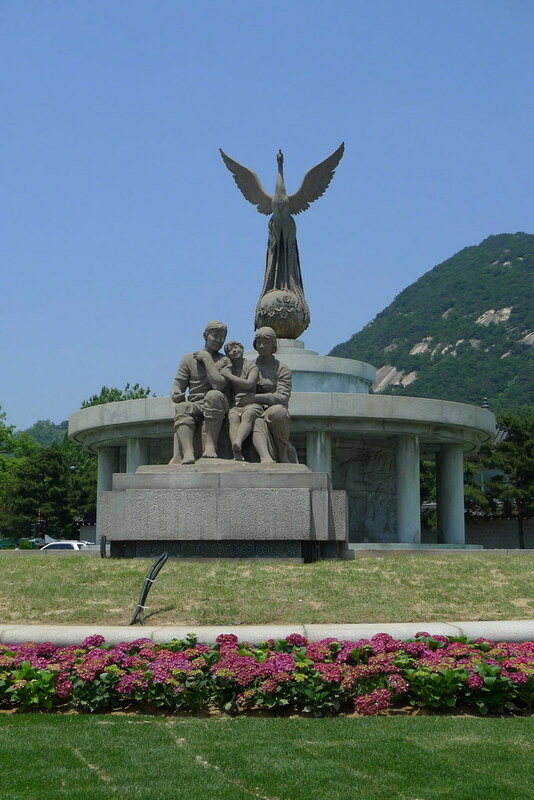 Then again, its symbolism with a phoenix rising over a smiling family seems less like it’s commemorating less the war of the 1950s than the upcoming one which will unite the peninsula. An interesting message for the memorial in front of the house of the President, but a powerful one. Posted by coriolinus on Sunday, June 6, 2010, at 0957, and filed under korea, photos. 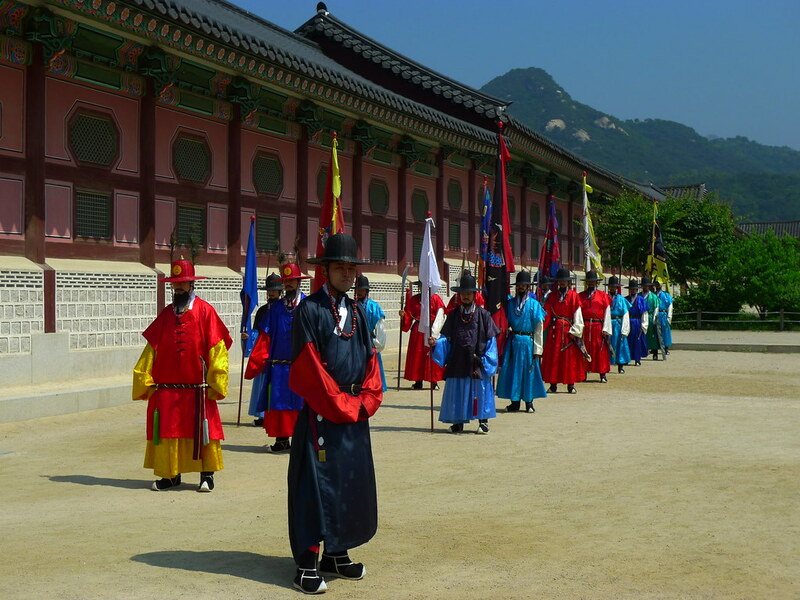 Automatic tags: Blue House, Culture, Guard, Guard Mounting, Human Interest, KATUSA, Korea, March music, Pomp and Circumstance Marches, President, Republic of Korea Army Follow any responses to this post with its comments RSS feed. Both comments and trackbacks are currently closed.